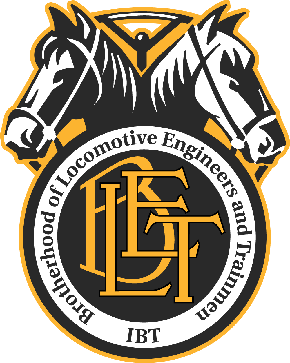 Members of the Brotherhood of Locomotive Engineers and Trainmen are proudly working as crew members aboard the special Union Pacific funeral train for President George H.W. Bush today. The two funeral trains were helmed by BLET locomotive engineers as well as SMART TD conductors. The first train — UP locomotive 4141 — is being piloted by June Nobles of BLET Division 139 (Houston, Texas). Her conductor is Randy Kuhaneck, a member of SMART TD Local 577 (Palestine, Texas). Like President Bush, Nobles and Kuhaneck are both Navy veterans. The train is now in the process of carrying the casket and members of the Bush family from the funeral in Houston to President Bush’s final resting place in College Station, Texas. The second train was piloted by BLET locomotive engineer Aaron Braud, also of Division 139 (Houston, Texas). His conductor is Billy Blanton, also of SMART TD Local 577 (Palestine, Texas). Earlier today, their train carried non-family dignitaries from the funeral to College Station.